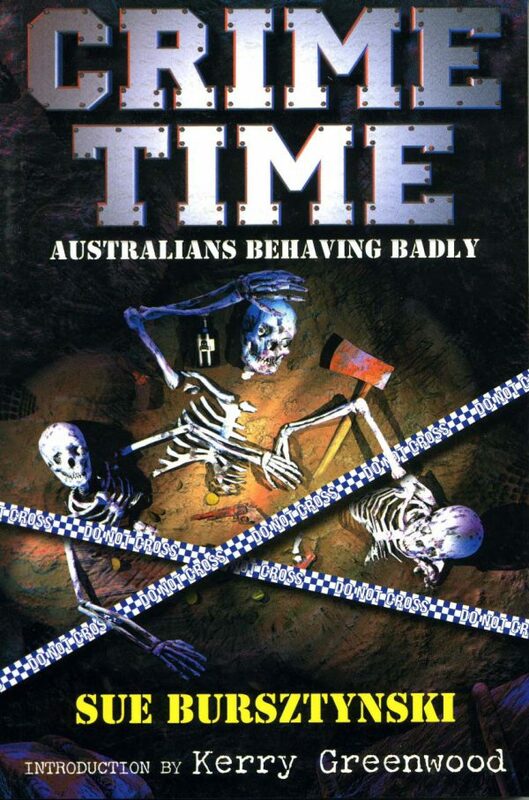 Crime Time – Australians Behaving Badly is a collection of true Australian crime stories ranging from bushrangers such as Ned Kelly and Mad Dan Morgan through to serial killers, fraudsters and modern celebrity criminals. It has an introduction by Kerry Greenwood and contains details of the crimes, biographical details, portraits by Louise Prout and interesting trivia in Did You Know boxes. Sue Bursztynski is a teacher-librarian and is skilled at talking to students. For many years, she wrote fiction and non-fiction for small-press science fiction magazines before she won the Mary Grant Bruce Award for children’s literature and realised that what..
Chocka-block with fascinating facts and true stories of Australia’s most infamous, Crime Time really does have something for everyone. Following an introduction by Kerry Greenwood, stories ranging from Jeronimus Cornelisz’s blood-thirsty mutiny in 1629 off the coast of Western Australia, to modern day thug, Carl Williams systematically chart four centuries of murderous mayhem that despite, or perhaps because of their subject matter, make for riveting reading. For example: Did you know that Australia’s youngest murderer was only seven years old? Or that our country’s first work of art was the Charlotte Medal? Commissioned by First Fleet Charlotte’s surgeon, the medal was fashioned from, of all things, a silver kidney dish. With an average story length of three pages, interspersed with black and white illustrations by Louise Prout and dozens of Did You Know? segments these terrible tales will entice even the most reluctant reader. 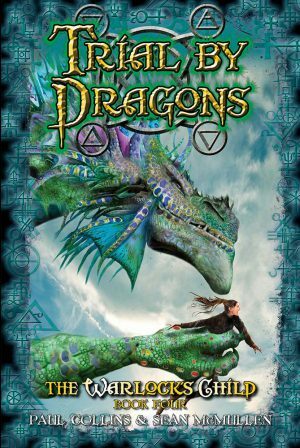 The narrative consists of simple, easy to absorb sentences and is delivered in a conversational style that kids will relate to. And it’s hardly surprising: Sue Bursztynski has proven herself a skilled writer with nine titles to her credit, one of which earned her a CBC Notable Book Award. 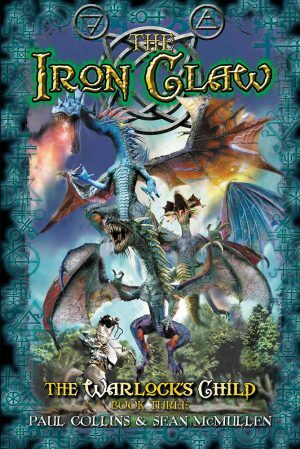 Finding a book for kids that will entertain as well as inform is a grand thing. Readers will be hard put to find a title that does this more thoroughly than Crime Time. Boys 10+ in particular will love this one. With an Introduction by Kerry Greenwood and artwork by Louise Prout, and subtitled Australians Behaving Badly, this is a collection of true Australian crime stories aimed at boys from eleven to lower/middle teen years. The book offers an overview of some of the worst moments of criminal activity in Australia from the 1600s, through bushrangers Ned Kelly and Mad Dan Morgan to serial killers, fraudsters and modern celebrity criminals. Louise Prout’s portraits add to the enjoyment of the narrative, as does the interesting trivia contained in the Did You Know boxes. But what has this got to do with speculative fiction? Sue Bursztynski is an SF writer and fan of long standing, and many readers of crime fiction are also speculative readers. The two genres have common denominators: characters, powerful villains and a truth that is stranger than fiction. As Kerry Greenwood writes in the introduction: “everyone, whether it be reluctantly or eagerly, is fascinated by wicked misdeeds and illegal acts.” The preoccupation with all things criminal is surely revealed in the fact that people visit crime scenes, wanting to live the experience; taking photos, hoping to catch a whiff of death. Within this book, readers will find wicked misdeeds and illegal acts to satisfy their craving for the more bizarre and extreme of human natures. 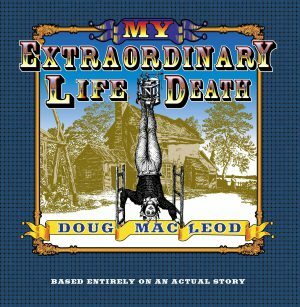 From the Batavia Incident in the 17th century, to Lola Montez’s infamous spider dance at the Victorian goldfields, to Martin Bryant of Port Arthur, to the Truro murders and James Miller, to the bodies in the bank vault in Snowtown. Drug murders to hit men, to cold blooded psychopathic killers, a taste of the bizarre, the disgusting and darkly humorous, to tantalise the younger reader without going into graphic detail. Perhaps the most entertaining criminal escapade is the woman who hires a helicopter to bust her lover out of jail: the two were eventually caught, but not until they had garnered an almost heroic status among many Australians. Sue Bursztynski handles the descriptions sympathetically with humour and clarity and no doubt will have readers enthralled. Bursztynski wrote fiction and non-fiction for small press science fiction magazines before she won the Mary Grant Bruce Award for children’s literature and realised that what she enjoyed most was writing for young people. She is now the author of nine books, one of which, Potions to Pulsars: Women doing science, was a Notable Book in the Children’s Book Council Awards, while Starwalkers: Explorers of the Unknown was nominated for the NSW Premier’s History Award. 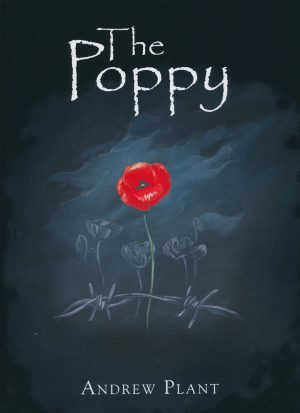 Louise Prout, the artist, has published over 28 children’s books and is currently illustrating the new Quentaris series. In 1993-94 she produced a best-selling dartboard calendar, Tall Poppy Target. Sue Bursztynski’s blog can be found at http://greatraven.blogspot.com/ .